For your convenience, we have a pharmacy in our hospital. 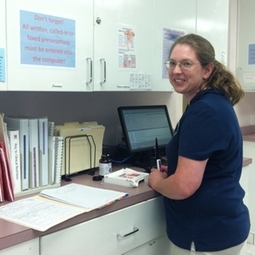 We are able to fill most of your pet's prescriptions at the time of your appointment. You can also request refills by phone or via your pet's personal health page on Petly - just click the green button at the top of the page! We have dedicated Pharmacy Technicians that have received specialized training and work hard to ensure that your pet's medications are properly dispensed.